We often hear “you can’t pour from an empty cup” and yet, a mother does just that. 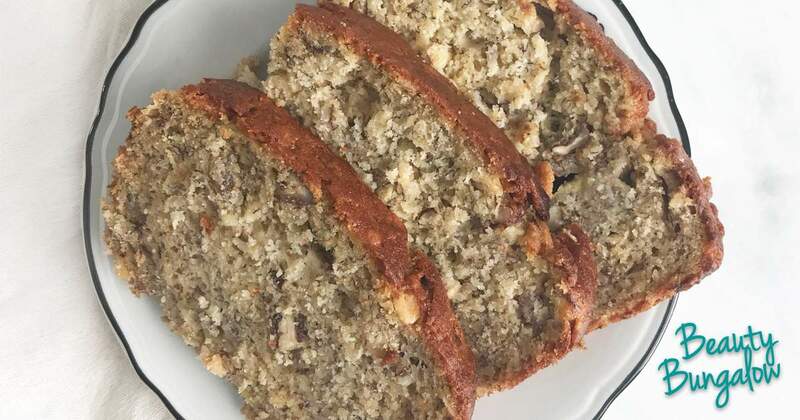 This month, celebrate and thank the mamas in your life by making this simple and healthy Gluten-Free Beauty Bread that’s filled with vitamins B6, B12, magnesium and potassium. Wrap loaf in parchment paper and tie with ribbon for gorgeous gifting. Preheat oven to 350 degrees. Lightly grease a 9×5 inch loaf pan, set aside. In a large bowl, combine flour, baking soda, baking powder, cinnamon and salt, set aside. In a separate bowl, mix together coconut oil and sugar. Stir in eggs, almond milk, vanilla, and mashed bananas until well blended. Stir wet ingredients into dry just to moisten. Pour batter into prepared loaf pan. Bake for 55 minutes, it should feel firm and golden brown. Let cool completely before slicing. Not savvy in the kitchen? Beauty Bungalow has facial gift certificates available. Let us treat your Mom to some much-deserved pampering.